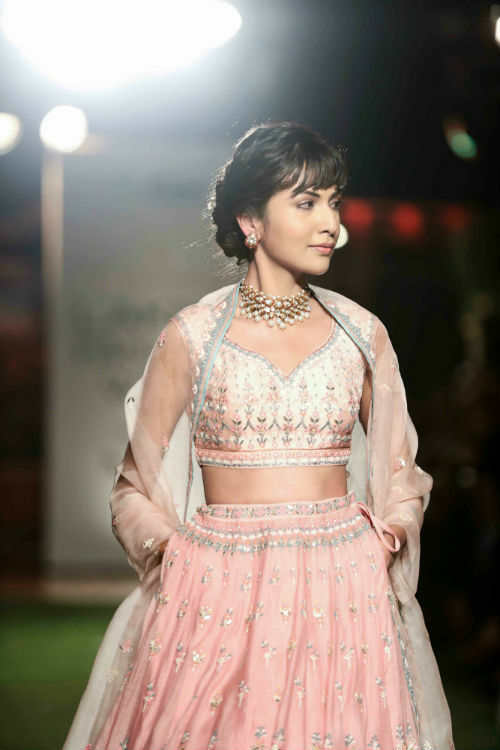 The first day of the Lakmé Fashion Week 2018 Summer/Resort started with a bang! From experimenting with quirky prints to exploring exquisite colour palettes, designers such as Naushad Ali, Dhruv Kapoor, Ragini Ahuja, Rara Avis and Ritu Kumar, put up a visual treat! However, if there’s one show that stole our hearts last night, it had to be Anita Dongre’s opening act at ITC Grand Central, Parel. 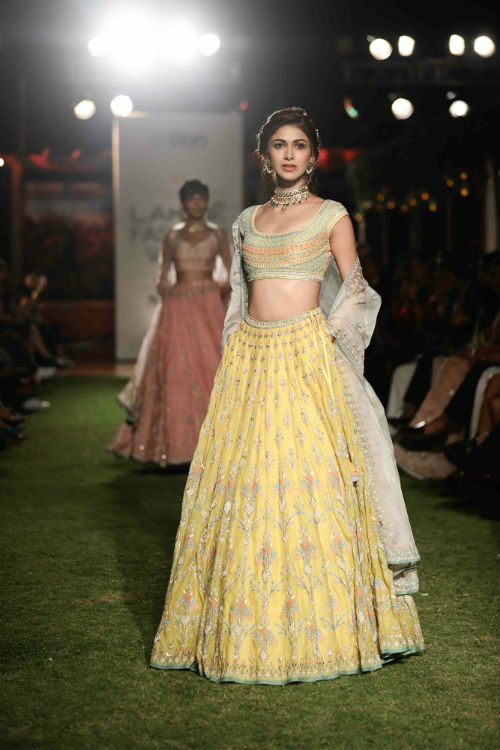 Anita Dongre’s collection ‘Songs of Summer’ looked like it came straight out of a fairytale! Inspired from a beautiful summer garden in all its bloom, the dreamy collection revolved around muted and subtle tones of pristine, powder blue, yellow, sage and blush with artsy botanical, floral and bird motifs. At the gorgeous venue, we also spotted celebrities like Diana Penty, Isabelle Kaif, Shabana Azmi and Yami Gautam making a bold fashion statement. 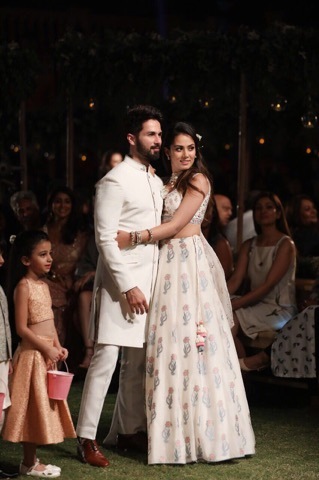 Not to forget one the main highlights of the evening was Shahid Kapoor and Mira Rajput’s ramp debut as a couple. The lovebirds looked like modern day royalty as they walked the aisles of the beautiful summer garden. 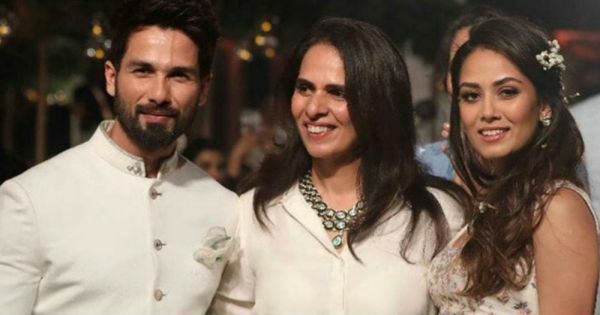 While Shahid Kapoor looked stunning in a handwoven Malka sherwani, Mira Rajput’s statement white handwoven Benaras lehenga with pastel floral motifs made her look like a queen. We did a quick interview session with Anita Dongre before her show. Here’s what she had to say. 1. The one colour you’re absolutely in love with? Anita Dongre: My favourite colour is a beautiful, buttercup yellow. 2. Your fave colour combination for the summer bride? 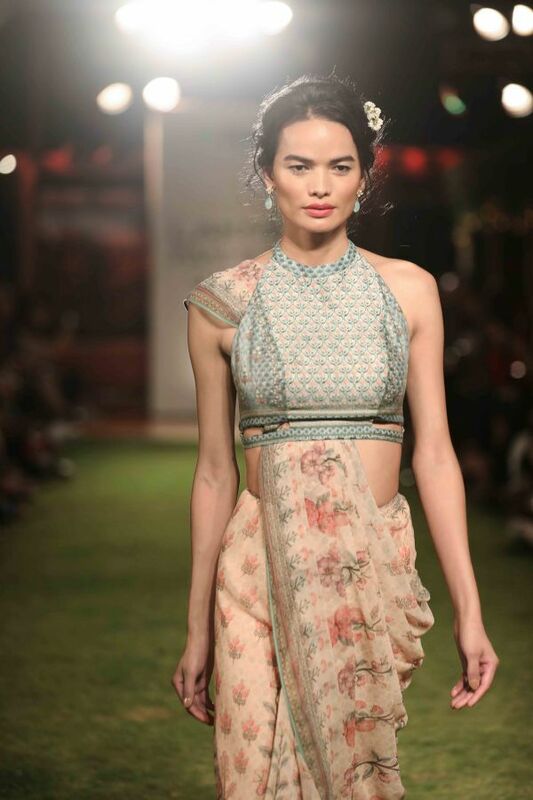 Anita Dongre: Soft rose-pink mixed with sage blue. 3. The one wedding fashion trend you’ve had enough of? 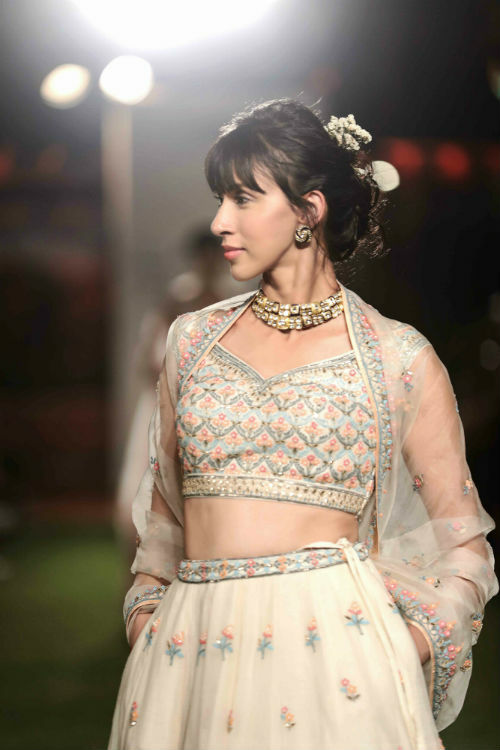 Anita Dongre: Just too much of bling, bling, bling! A bride does not have to be blingy from head-to-toe. 4. Cape sleeves or off shoulders - what is a big no-no for the bride? 5. 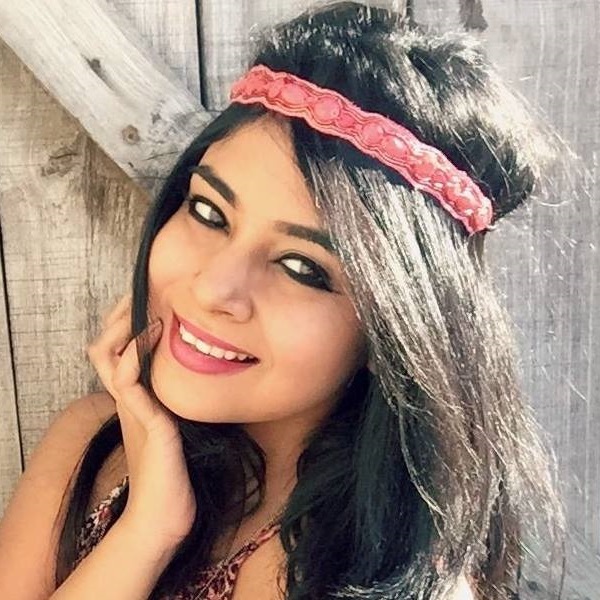 The one Bollywood actress you would like to dress up for her wedding? 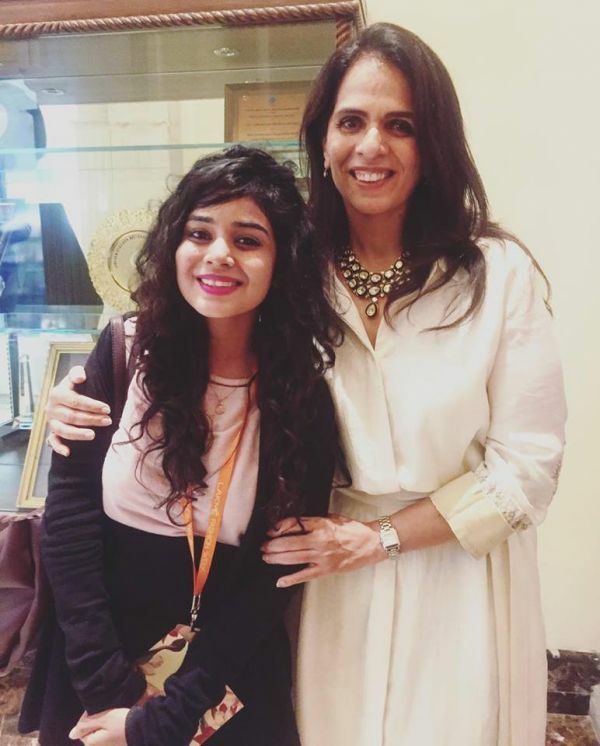 Anita Dongre: All the girls are beautiful and I would love to dress them all. And before we sign off, do you know what else is amazing? Getting a picture with her, of course. Cheggit out!